Call 800-377-0535 with any questions. 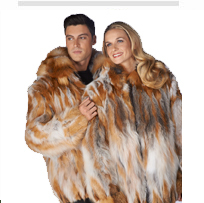 Fur coats, fur jackets, mink coats, mink jackets, fur capes, sable, chinchilla, fox, a superb selection of furs, available in every size from petites to plus sizes. Our top quality customer service ensures you the finest quality and the perfect fit. Luxury fur shopping at affordable prices! 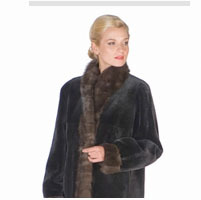 Select from hundreds of our gorgeous mink coats. 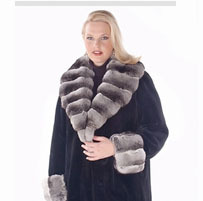 Classic mink coats, tailored mink coats, mink coats with stunning designs, mink coats with chinchilla or sable fur trim. 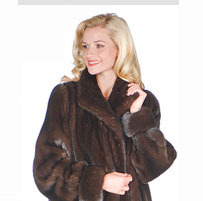 Mink coats for the most elegant affairs, mink coats to keep deliciously warm every day. We have them all! A fox jacket in blue fox, silver fox, red fox or black fox is always glamorous yet deliciously warm! Soft, fluffy fox - a wonderful fur with ultimate appeal at an affordable price! Our fox coats in every color, will envelope you in warmth and elegance. What could be better? Our lovely cashmere capes, mink capes and mink stoles, sumptuous fox capes and fox capelets or opulent sable capes provide the finishing touch to every women’s wardrobe from petite to plus size. Shop madisonavemall.com for every type of fur in mink, sheared mink, fox, sable or chinchilla. Sheared minks coats, sheared mink jackets, sheared mink with chinchilla or sable, sheared mink reversibles - sheared mink is the modern womans solution to a busy lifestyle. For everyday wear, for evening and for on the go, sheared mink jackets and coats are the answer! Whether mink, fox , beaver or muskrat, every man can find the fur coat or fur jacket that suits his lifestyle. Rugged or refined, coats or jackets, fur lined or all fur - we've got it all! 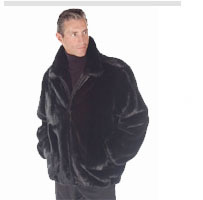 A man’s mink coat or man’s mink jacket need the special tailoring that we put into all our furs. Select from our styles of best selling men’s furs for a great look that will last for years! Treat yourself to a touch of fur ! A dashing mink hat, a scrumptious fox headband, lovely mink scarf or glamorous fur handbag are the small but all important items that give you a feeling of luxury. Fur accessories are all racing down the runways and we have the loveliest selection of fur hats, furs scarves and wraps, fur headbands, and fur handbags. An evening bag is the finishing touch. A glamorous chinchilla bag or smartly tailored leather clutch, a vintage or Victorian looking evening bag - find your perfect evening bag in our uniquely edited collection. 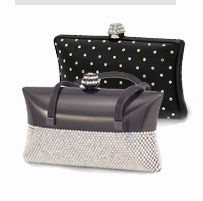 We carry a stunning selection of silver evening bags, bronze and gold evening bags and of course that all important basic black evening bag in satins, leathers, with glittering Swarovski crystals, or shimmering beads. Start shopping now!